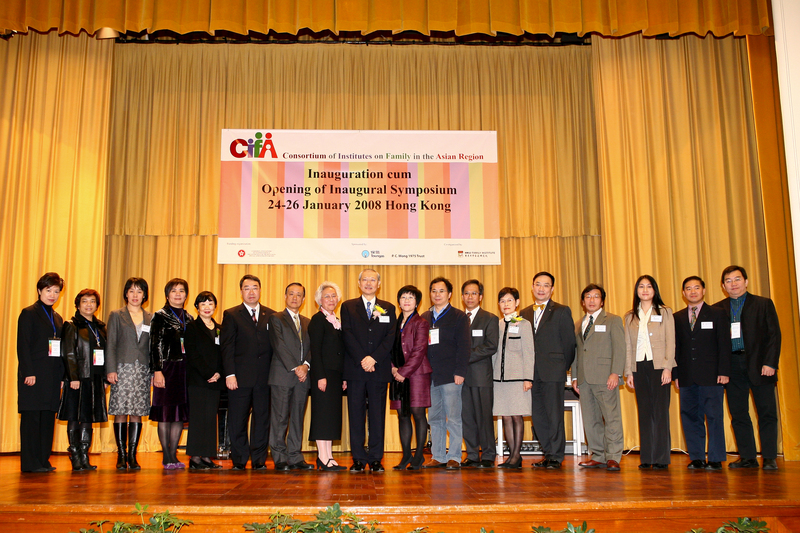 CIFA Council members and Mr. Michael Suen, Acting Chief Secretary For Administration , HKSAR, Officiating Guest at the Inaugural Symposium in 2008. 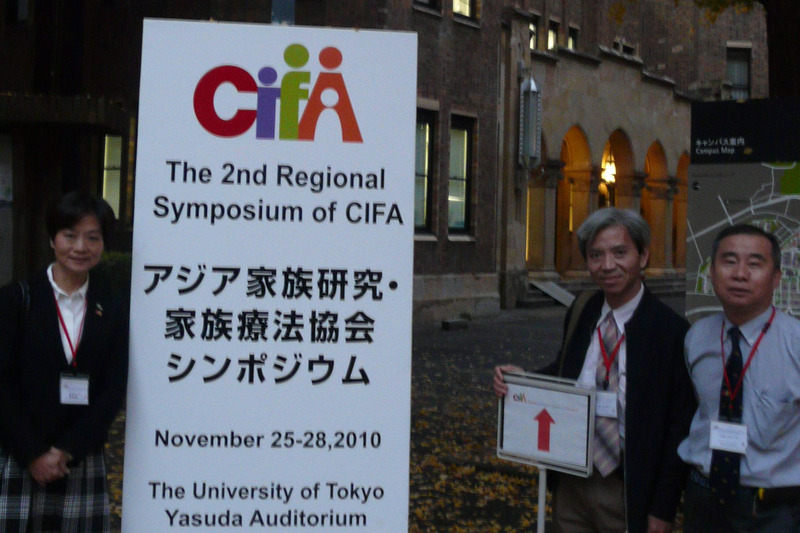 Ms. Amy Leung, Adjudicator of 3A Project 2010 with Mr. Timothy Ma and Mr. Ivan Tam, members of 3A Working Group at the campus of the University of Tokyo during the 2nd CIFA Regional Symposium in Tokyo, Japan in 2010. 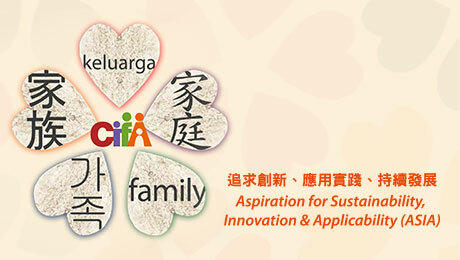 Representatives of co-organizers and Mr. S Iswaran, Minister, Prime Minister’s Office, Second Minister for Home Affairs and Second Minister for Trade and Industry at the 3rd CIFA Regional Symposium in Singapore in 2012. 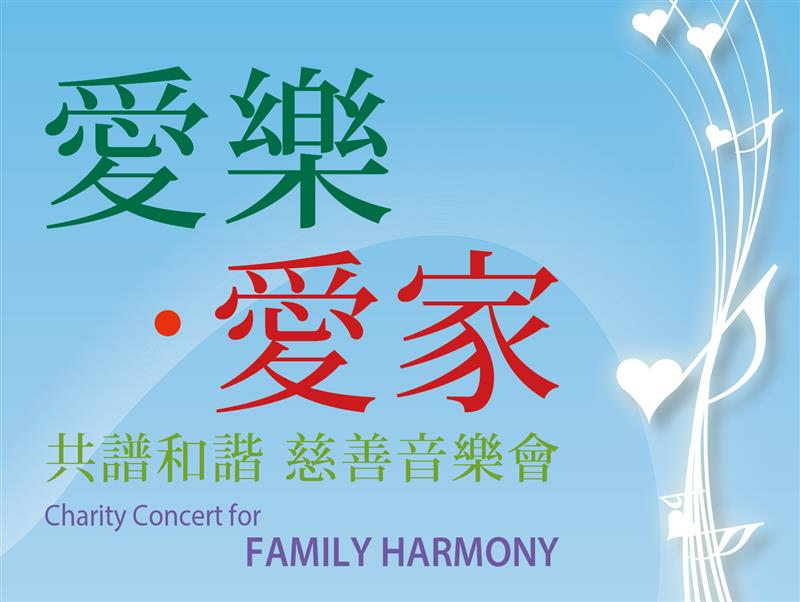 Dr. Michelle Tsui and Dr. David Fang performed a wonderful duet at the Charity Concert for Family Harmony in 2013. Representatives of co-organizers and Mr. Endi Zhang, Vice Chairman of Shanghai People's Political Consultative Conference of Shanghai, Guest of Honor at the 4th CIFA Regional Symposium in Shanghai, China in 2014. Award Presentation Ceremony of the Wofoo 3A Project 2014 at the Gala Dinner, 4th CIFA Regional Symposium in Shanghai, China in 2014. Mr. Fung Pak Yan, Acting Director of Social Welfare, HKSAR, Officiating Guest blowing the horn at the Kick-off Ceremony at the Walk on Family Well-Being in 2015.